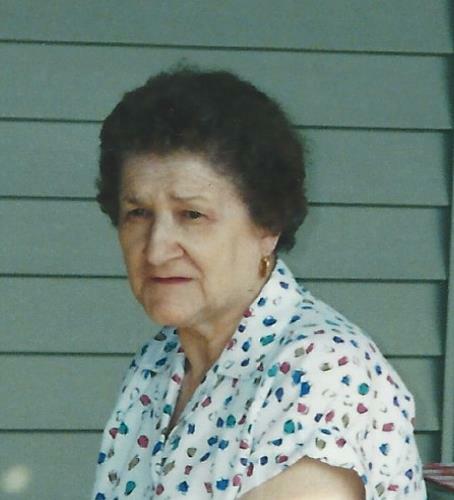 Anna M. Scopelite, (Nee Yuriga), age 92, lifelong of the East Side passed away on March 20, 2019. Beloved wife of the late John J. Scopelite. Loving mother of John C. Scopelite, Patricia (Thomas) Miller, Dale Scopelite and Denise (Rodger) Head. Cherished grandmother of Jennifer (Fiancé Ryan), Thomas (Jennifer), Joseph (Caitlin), Daniel and Jonathan. Devoted great-grandmother of Morgan, Edmund and Sydney. Dear sister of Irene (Jim) Dittman, late John Yuriga and late Alex (Margaret) Yuriga. Fond aunt of many nieces and nephews. John and Anna were some of the founding parishioners of Annunciata Church. She was a loving wife, mother and grandmother. Visitation Saturday, March 23, 2019 DIRECTLY at The Church of the Annunciata 11128 South Avenue G. Chicago, IL 60617 from 12:30 p.m. until time of Mass of Christian Burial at 2:00 p.m. A private family burial will take place at St. Mary Cemetery Evergreen Park, IL. In lieu of flowers memorials to Church of the Annunciata in Anna’s name would be appreciated. Arrangements entrusted to Elmwood Chapel Chicago, IL. 773-731-2749. www.elmwoodchapel.com. Deep sympathy and love to the family! Ann will be missed. Deborah and I are so sorry for your loss … May your Mother Rest in Peace and May Perpetual Light Shine Upon Her !! !